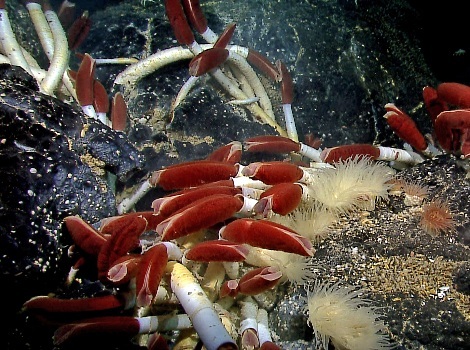 Giant tube worms are found near hydrothermal vents such as the ones on the Galapagos Rift. 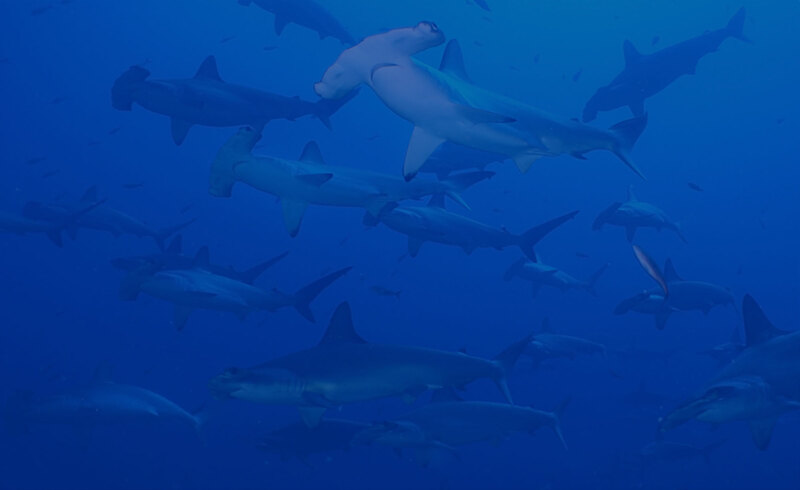 They live over a mile under the sea where temperatures range from 2 to 30°c. They are able to tolerate extremely high hydrogen sulphide levels which are usually toxic to other organisms. Their red “plumes” at the tips of their bodies extract minerals from the water. These minerals provide essential nutrients to bacteria living inside a specialised part of the worm’s body. The bacteria convert these nutrients into organic matter through a process called chemosynthesis. It is this organic matter on which the worms feed. This sort of relationship between two species is called symbiosis.